Chiffon Rose is an official stockist for Grimoire! 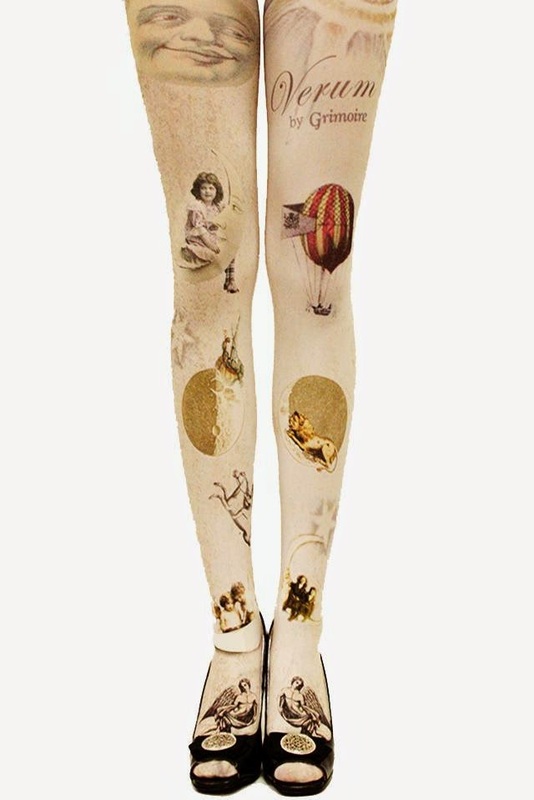 A selection of legwear from their 'Verum' line will be up on Thursday 21st August at 9am AEST. I will admit that I am slightly fan-girling over the fact that such a cute Japanese Brand approved of my little shop! Grimoire is synonymous with the term 'Dolly Kei' - a Japanese street fashion inspired by vintage fashion from America and Eastern Europe paired with a fascination with folklore and magic. Tokyo Fashion blog sums up Grimoire perfectly in the following shop images. 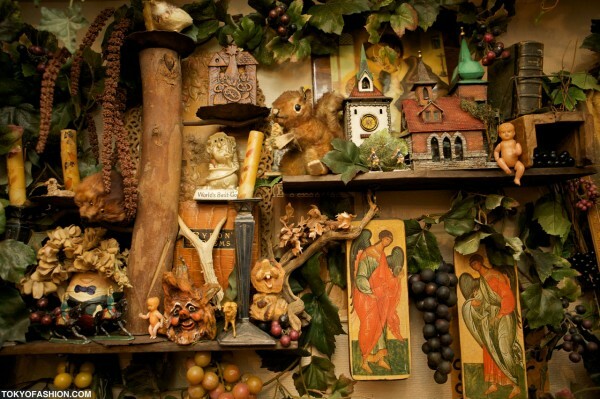 Their cosy corner is filled with whimsical, fairytale-like clothing, accessories and knick knacks. 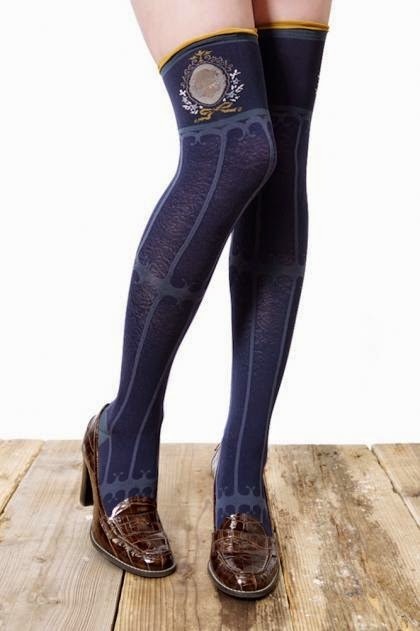 Grimoire stock vintage clothing as well as original design tights and accessories. 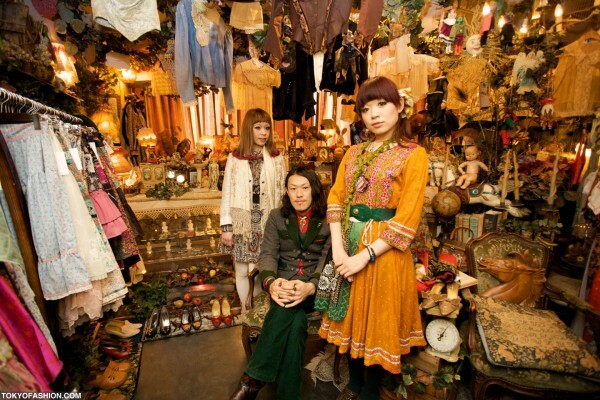 Their director, Hitomi Nomura is a style icon herself (pictured below, far right). Verum tights can be incorporated into an everyday outfit (say a black dress or simple skirt and blouse combination) or dressed up in an over-the-top look. 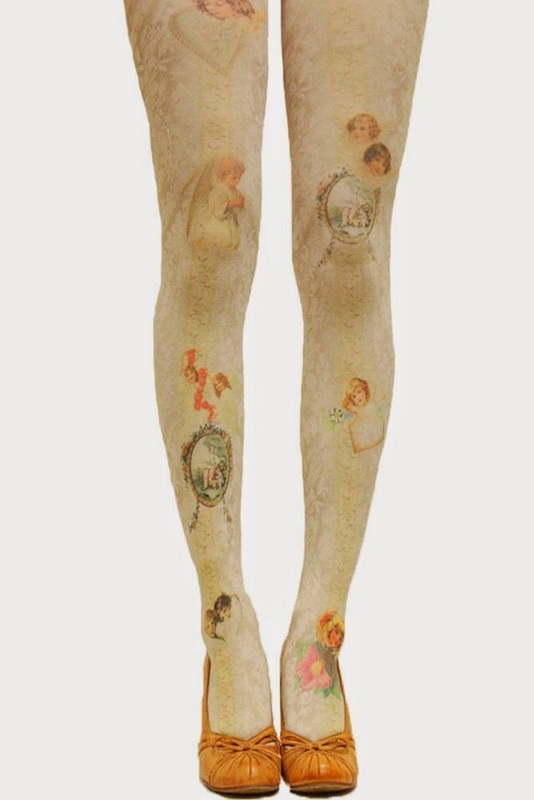 Our collection includes the classic 80 denier stockings (pictured below). 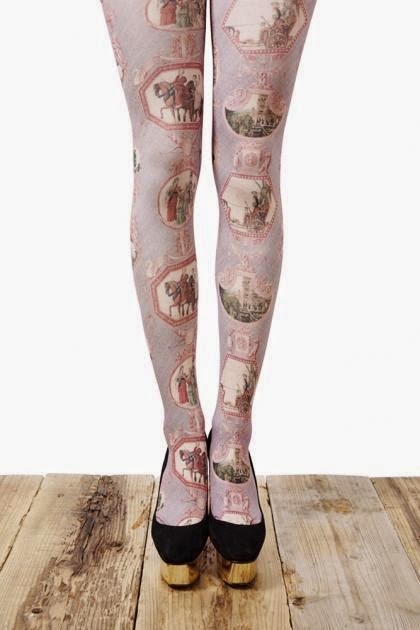 "Il va à la recherche du pays de la lune"
The classic tights are beautiful with any outfit, but I will admit the cosy designs below are my favourites! We have the "Embroidery of Verum" series in black and bordeaux. The unusual muted accents in pink and moss green are what make the black colourway so beautiful. The bordeaux is equally pretty with navy, pink and deep green accents. The Princess Portrait series has the cutest little cameo design (pictured below) and comes in beige, navy and bordeaux colourways. The stunning "Monogram on Wrought Iron" concludes our collection. I hope you enjoy our selection! Please note that some designs are very limited (and sold out on their webstore in some cases). I am also determined to stock items that fit a wide range of sizes outside a Japanese size M-L in our future releases. Thankyou for stopping by Red Sakura! I'm glad you like the tights. I must say that the pricing is not a shame at all. It reflects their excellent quality and intricate designs, not to mention that they are independently produced in smaller quantities. The cost of manufacturing in Japan is also dearer than, say, China. Having said that, my shop is only just starting out so I do aim to provide more affordable options as well. Thankyou for the feedback! Český Krumlov, Snails and Umbrellas!